Dress for Success is a nonprofit organization that empowers women to achieve economic independence and stable employment. Their boutique store front in the Short North provides women a supportive network and other services for them to be successful as they seek out and begin their careers. These services include providing gently used professional attire and career development tools, such as resume assistance and employment application support. Last year, Cynthia Lazarus introduced us to Dress for Success Columbus. Through this relationship, we launched our first clothing drive! 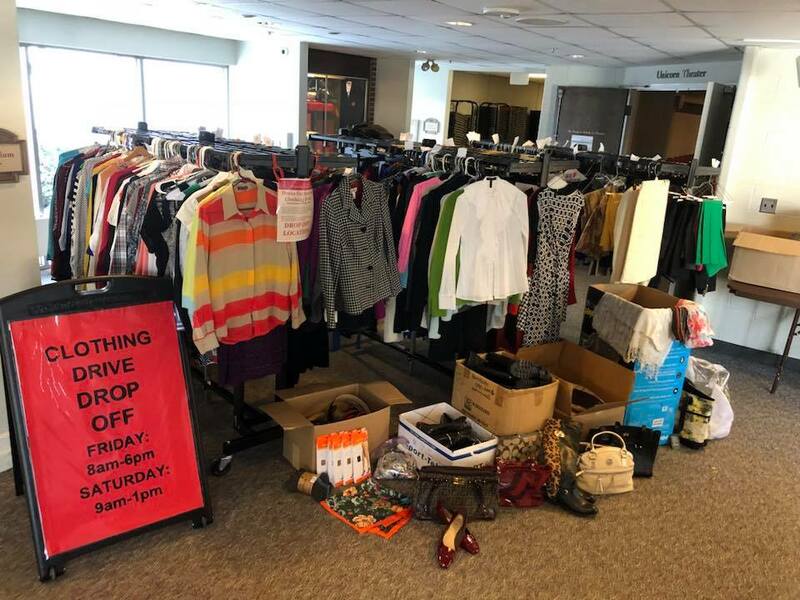 With the generous donations of students, parents, and alumnae, we were able to donate over 1,400 items of clothing to the DFS Suiting Boutique. As I was working side-by-side with other CSG alumnae delivering all of the donations, I could only think of our motto, Forte et Gratum and the parallels of our goal of producing women characterized by strength and grace with those of Dress for Success. Over the next ten days, we will be hosting our second clothing drive to build on the momentum of the last drive. I charge my fellow alumnae to consider participating in some way. Clean out your closets and donate your gently used clothing and accessories. Encourage your friends and family to make donations. Offer to collect donations for neighbors or coworkers. This is an ever worthy group of women that will benefit from our donations. Donations can be dropped off to CSG all this week and on Saturday, January 19 from 11:00-1:00 in the Main Lobby. 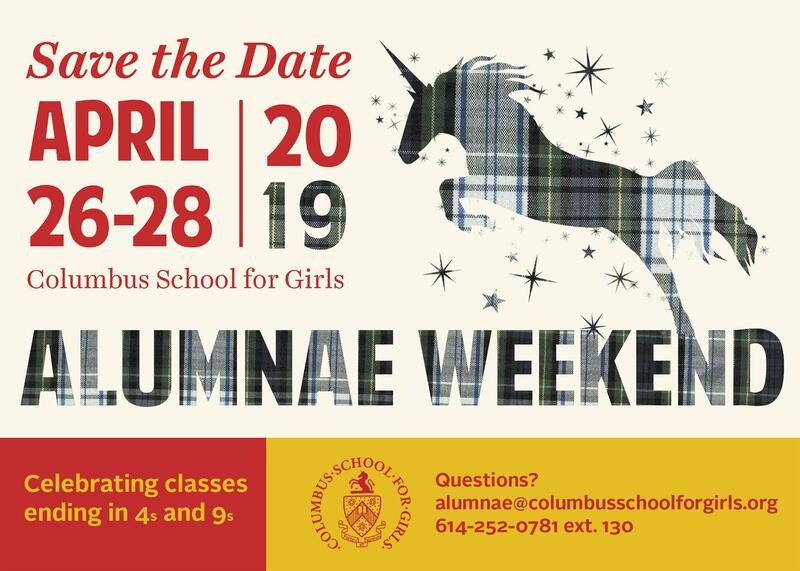 Updates will be shared on the Columbus School for Girls Alumnae Facebook page. As you read in the spotlight article this month, we have alumnae who work tirelessly for the betterment of their surrounding communities. Whether it is mentoring students, helping the less fortunate, or being a shining example, CSG women are leading the way in working towards a better tomorrow. If you're in the Central Ohio area, please help support our annual Dress for Success clothing drive!